If you were wondering if this is the sort of legal story you should pay attention to on Android Police, let me make it easy: it is. This is probably the biggest legal story in the mobile sphere since Apple's victory over Samsung last August. Yeah, that important. This morning, the FTC announced at a press conference that Google had settled its antitrust claims with the agency, and that Google agreed to two very important stipulations as part of that settlement relating to mobile. First, Google and Motorola will cease seeking product bans for standards-essential patent infringement. I cannot underline enough how important this is to the mobile industry as a whole, at least in the US. But let's get to the second stipulation. Next, Google and Motorola have agreed to resolve those standards-essential patent disputes in arbitration (outside of court in a quasi-judicial way), which means once the issues are settled, they will in all likelihood be settled for good. Binding arbitration decisions can only be appealed on a limited basis (grounds of unconscionability), and the burden to overturn those decisions is high. This is important for a number of reasons. Foremost, Motorola's most powerful patents are no longer a weapon it can wield to seek product bans as a "me too!" defense to infringement lawsuits from the likes of Apple and Microsoft. It puts Motorola in a decidedly weaker legal position in the US, which is the only market Moto really cares about in the first place. 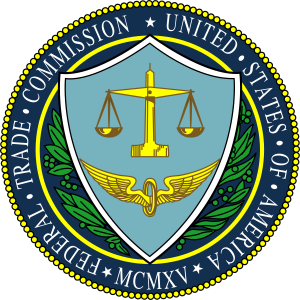 Perhaps more importantly in the grand scheme of things, though, the FTC has shown it has put its foot down on the SEP question in the US, and that those abusing them risk financial and legal repercussions. This will very likely force Motorola / Google to settle its existing disputes with Apple and Microsoft, and yes, probably pay a royalty to both. Microsoft has settled with every other Android OEM already, and a similar agreement with Motorola is really just a matter of time now. In regard to Apple's lawsuits, Motorola has very suddenly found itself in an even less defensible position. Motorola already dropped a lawsuit against Apple at the ITC, and court documents from November suggested the two were mutually amicable to the idea of a worldwide settlement through binding arbitration. Hot on the heels of the HTC / Apple settlement, it seems more likely than ever the two companies will settle their dispute out of court. The devil is in the details, but once again, it just appears to be a matter of time. Finally, what does this all mean for Samsung? Well, Samsung has rather boisterously thrown the weight of its own standards-essential patents around in courts the world over against Apple, and that's definitely gotten Samsung in hot water in the EU. Samsung has also attempted to use similar patents against Apple and Ericsson at the ITC in the US. With the FTC's newly-pronounced disapproval of SEP-based product bans, this certainly doesn't bode well for Samsung's cases. In fact, the DoJ is already looking into Samsung's use of such patents. It's certainly easy to paint this as a case of the system working for "patent bullies" like Apple and Microsoft (which they certainly can be, I admit). However, it should be clear to anyone familiar with patent law that standards-essential patents are being very blatantly abused in courts around the world, and are only adding to the pile of legal headaches in the mobile industry. The FTC's settlement with Google today is, in that sense, a step in the right direction. An even bigger step in the right direction would be a re-evaluation of the absurd rules governing software patentability here in the US, which allow companies like Apple and Microsoft, and patent trolls, to essentially turn on a patent-printing-press every time a new software feature pops into someone's head. In fact, the Federal Circuit will be addressing the loophole that allows some of this nonsense to happen in the relatively near future. In the meantime, though, while today's decision may hurt the Android fanboy in all of us, it's inarguably a benefit for the industry at large. By reducing the number of bullets you can put in the legal gun, as it were, you ensure decisions to fire will be weighed more carefully in the future.